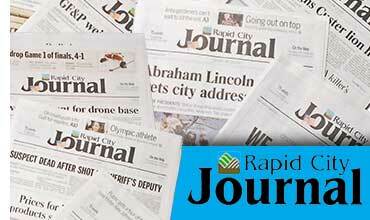 The Oglala Sioux Tribal Council has banned all sales of the Rapid City Journal on the Pine Ridge Indian Reservation until the newspaper formally apologizes for an offensive headline published in late January. The Journal was proactive in reporting breaking details surrounding a disturbing instance of racism against Native children at a January hockey game in Rapid City. However, when question regarding the school group’s participation in the customary National Anthem arose, the publication’s reporting tactics took a dubious turn. The implication that something as trivial as standing for the Star-Spangled Banner could directly lead to flagrant bigotry against children was not well received by readers. While the Journal had the means to hone in on actions of adults in the wrong, they chose to examine innocent children’s behavior, reaching to uncover some form of provocation. It smelt of victim-blaming at its most sinister. Tribal spokesman Kevin Steele told KCSR-AM that the ban will remain in effect for as long as necessary. Bart Pfankuch of the Rapid City Journal says the newspaper respects the tribe’s rights but awaits prompt reversal of this action. This is an impactful decision on the part of the Oglala tribe. They will not stand complacent while a widely trusted news source fails to take their point of view seriously. The Lakota People’s Law Project anticipates a day when relations between Natives and the media function smoothly. It is due time for publications such as the Rapid City Journal to put their efforts into the accurate representation of the triumphs and struggles of indigenous peoples. We applaud this tribal decision as an honorable demand for respect.